Global food giants and even governments have starting experimenting with distributed ledger technology, commonly known as blockchain, to provide end-to-end traceability of food products for the end user. The key objective of most of these projects is to instill confidence in consumers that the food item that they are purchasing is safe by allowing them to look into the details of the products’ origin and its supply chain. The global market for blockchain in agriculture & food is projected to grow from $41.9 million in the year 2018 to $1.4 billion by 2028, growing at a CAGR 42.45% from 2018 to 2028, according to a recent market intelligence report from BIS Research. In July 2018, the Food Standards Agency (FSA), the UK government department responsible for protecting public health in relation to food, successfully completed a blockchain pilot, marking the first time the technology has been used as a regulatory tool to ensure compliance in the food sector. South Korea’s Ministry of Agriculture, Food and Rural Affairs and the Ministry of Science and ICT are going to launch a pilot project to track beef throughout its supply chain using blockchain technology, Yonhap reported. The objective is to enhance visibility and transparency for consumers. The pilot will be launched in cattle farms and slaughterhouses in North Jeolla Province by December. Following the trial period, the system is expected to be officially rolled out in January 2019. The HUI Māori Collective is an initiative comprising of 11 companies that together will sell a range of premium products, including wine, Mānuka honey, fruit bars, and Kawakawa soft drink. Their Māori-branded product suite will be hosted on NZ Post’s flagship store on the e-commerce platform Tmall Global, which is part of the Alibaba Group. The solution is underpinned by a verification process developed in collaboration between AsureQuality, New Zealand Post and New Zealand Trade and Enterprise. The ANZ bank will provide support to develop a future blockchain solution, and bespoke finance solutions to support the Collective manage its financial flows. In June 2018, the government of Indian state of Kerala started a project to implement blockchain technology to streamline purchase and distribution network of milk, vegetables and fish in the state, Business Standard reported. In August 2017, food industry behemoths including the likes of Walmart, Nestlé, Unilever and others, together with tech giant IBM, announced an initiative to improve the supply chain management of food products. 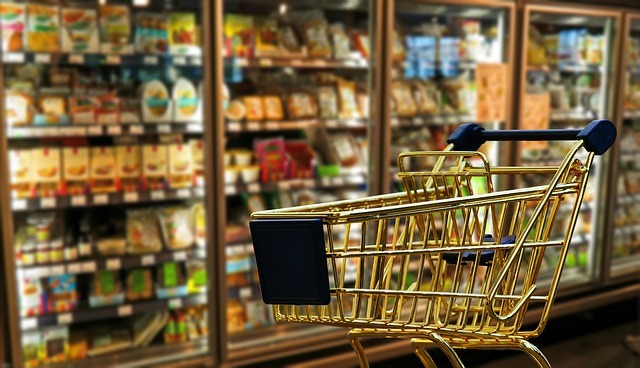 In a report in June, the Wall Street Journal reported that the ‘Food Trust’ initiative aims to improve recalls, quick identification of the issue, and reducing the time consumers are at risk. This, in turn, will also benefit businesses that will be able to avoid losses arising from broad food recalls. The Food Trust group aims to establish new standards for the rest of the food industry. In October, IBM announced the launch of the IBM Food Trust. In late 2017, IBM, in collaboration with Walmart, JD.com, and Tsinghua University National Engineering Laboratory for E-Commerce Technologies, announced a Blockchain Food Safety Alliance in China. The consortium aims to use blockchain technology to develop a standards-based method of collecting data on the origin, safety, and authenticity of food products. This will help provide real-time traceability throughout the supply chain, encourage accountability, and give suppliers, regulators, and consumers greater insight and transparency into how food is handled, from the farm to consumers. FoodLogiQ, a SaaS provider of traceability, food safety and supply chain transparency solutions, in collaboration with a number of food industry leaders including Tyson Foods, AgBiome Innovations, Subway/Independent Purchasing Cooperative, Testo, and others, has launched the Food Industry Blockchain Consortium. In June 2018, FoodLogiQ launched a blockchain pilot with the consortium members to test the application of blockchain to raise transparency within their supply chains. In September 2018, Dairy Farmers of America (DFA), a national cooperative owned by dairy farm families across the U.S., has announced that it has partnered with blockchain startup Ripe.io to test the potential of blockchain technology in food and agriculture. Ripe.io recently raised $2.4 million in financing from investors like Maersk Growth and Relish Works, Forbes reported. In June 2017, China-based ZhongAn Technology, the technology division of web-only insurer ZhongAn, announced a blockchain-based system that aims to provide end-to-end traceability of chicken farming, CoinDesk reported. In March 2018, Bureau Veritas launched Origin, which it described as the world’s first traceability label to give consumers a complete end-to-end proof of a product’s journey, from farm to fork. E-commerce giant Alibaba (Australia) launched a blockchain pilot aimed at improving supply chain traceability, ZDNet reported in April 2018. Launched in collaboration with Fonterra, NZ Post, Blackmores, and Australia Post, the pilot involves placing orders through Food Trust Framework – a Tmall initiative to enhance traceability of supply chains using blockchain technology. Fonterra and Blackmores are the first companies to trial the framework. In September 2018, Walmart announced that it is deploying blockchain technology to track leafy greens in the wake of a large outbreak of E. coli. In September 2018, Bühler, a family-owned Swiss company, launched Bühler Insights – a platform which combines the power of Bühler’s leadership in food processing with Microsoft’s leadership in delivering intelligent Azure cloud technologies, including artificial intelligence (AI) and Internet of Things (IoT) capabilities, and blockchain to unlock a new degree of food safety, traceability, transparency, and data intelligence. Leading global retailer Carrefour, which has also joined the ‘Food Trust’ initiative as a founding member, recently launched a blockchain-based food traceability system in Spain for one of its food products – ‘Quality and Origin’ chicken. In October 2018, NDS, a subsidiary of South Korean food producer Nongshim, partnered with Ambrosus to track and trace premium quality beef sold by food retailer Mega Mart. PREMIUM Goods, a French flavoring company, collaborated with Ambrosus to use blockchain and IoT to provide transparency and proof-of-quality to Madagascar bourbon vanilla. Ambrosus has also been accepted by the United Nations’ One Planet Network as its partner. It is one of the first blockchain companies to join the Consumer Information Program (CI-SCP). Ambrosus has also entered into partnerships with Blendhub, a decentralized food production network concentrated on powdered foods, and Flatev, a consumer-oriented snacking and baked goods company. In December 2016, Everledger, a UK-based blockchain startup, announced that it has secured a bottle of wine’s provenance on the blockchain. In April 2017, EY, in collaboration with startup EZ Lab, in partnership with, developed ‘Wine Blockchain’ – a platform that will certify and communicate the quality and geographical origin of wines made in Italy, CoinTelegraph reported. In October 2018, Medici Ventures announced a strategic investment in a blockchain startup VinX which plans to create a token-based digital wine futures platform based on the Bordeaux futures model, Forbes reported.